a. Audit — every business has somewhat of a presence online already. However, we’ll start with a thorough assessment of what you have in place, what needs improving, what needs taken down completely, what needs amalgamating, and what still needs to be built out. b. Strategy — once your sales, marketing and business objectives are clear, social media success all starts with a proper strategy. In fact, several strategies. For each social channel on which you choose to be active, you’ll need to have a strategic approach to your Design, Content, Promotion, Engagement, Conversion, Tracking and Scalability plans. c. Content — are you tying each and every piece of content you share online to an overarching bigger picture? 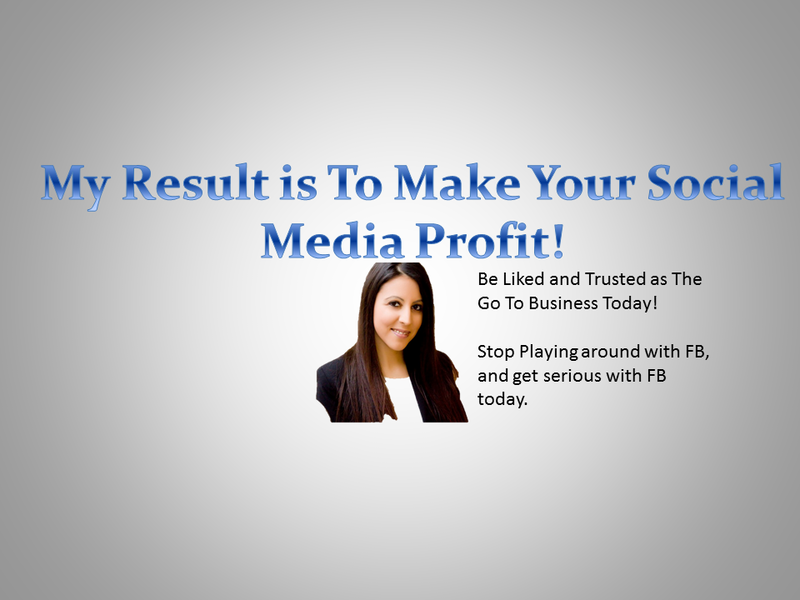 Do your Facebook posts, tweets and more create the right results for your business and brand? If not, it’s time to shift that! The right approach to content marketing will make your business as a Social Media Success. d. Conversion —>”Show me the money!” Social activity is great. But, if it’s not ultimately leading to more money in your bank account, what’s the point? Rita has a strategic approach to blending her background as an online social media marketing expert with her in-depth training from the world’s top social media, online and Facebook marketers. Guaranteed, your social media marketing efforts will begin to pay off like never before when you start applying Rita’s teachings you’ll learn with her. e. Social media management systems —> are you laboring over a daily process that could be delegated and systematized? Are you properly tracking your reputation? Are you consistently being proactive and innovative because you’ve thoroughly mapped out and planned for your success through social channels? f. Apps and tools —> what desktop and mobile platforms are you using to increase efficacy with your social media efforts? “There’s an app for that!” Yes, there is. You could be wasting large chunks of time on a daily basis because you simply don’t know what you don’t know in terms of what apps, tools, shortcuts, resources and systems are available to make your daily life so much easier! As you can see, my business provides a service that manages social media content for local, mid, and large businesses. We find, schedule and post viral content, on your behalf, to engage your followers and induce sharing on Facebook, Twitter and LinkedIn. With social media at an all time high and over a billion registered users on Facebook, Twitter, and LinkedIn alone, it is no surprise small businesses along with mid to large are using social media to drive sales and interest toward their companies. My mission is to help businesses manage, engage, and expose sticky content and share content on Facebook, Twitter, and Google+. More than just social curation, my team and I create a more personal feel for your small business with our dedicated account managers. Our dedicated account managers will provide a constant flow of engaging and relevant media for your specific social media channels. Through our Social Media Marketing intelligence, your business will reach more customers by providing more ways for customers to find your business; climb the search engine rankings, and reach out to customers directly with mobile alerts and special offers. Anyone working in social media knows things in this industry are constantly changing – from new strategies to new technologies to new platforms. It can be hard for social media practitioners and companies to stay ahead of the curve, particularly as enterprises, brands and agencies look to expand and scale their social media efforts across the organization to make social business a reality. That is where we come in. Our job is to stay updated, research, think creativity to set you apart from your competitors. Fill out the contact form to request your free intial consultation now, to end your social media headaches now.